Shortly after the 2018-19 National Basketball Association trade deadline passed, the New York Knicks waived Enes Kanter prior to the March 1 deadline to be eligible for the playoffs. Blazers beat a crowded field for Kanter, including the Lakers, per sources. 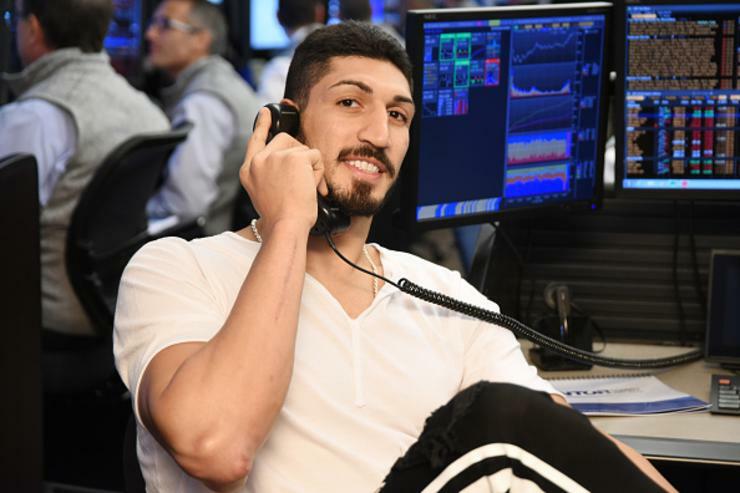 Enes Kanter's tenure with the New York Knicks came to an end at the trade deadline last Thursday when the organization waived him, sending him into the free agent market. The Blazers are 33-23 on the season, good for fourth place in the Western Conference standings. This is a really solid addition for the Blazers, who now have Kanter, Jusuf Nurkić, Meyers Leonard and Jake Layman manning the front court. NY had talked to teams about potential trades of Kanter prior to the deadline, but his $18.6 million expiring contract proved too hard to move. The Blazers had originally signed Kanter to a four-year $70 million offer sheet in the summer of 2015, a figure the Oklahoma City Thunder matched in order to retain the restricted free agent's services. The eighth-year center averaged 14 points and 10.5 rebound season with NY this season. He appeared in 44 games. In eight seasons with Utah, Oklahoma City and New York, Kanter has averaged 11.9 points and 7.6 rebounds.